Almost new cabins, Newly stained siding & New Metal roof. Total electric that is very inexpensive to cool or heat. Very well insulated with concrete stain flooring. Electronic door locks with remote door lock/unlock. Has its own water well that supplies both cabins with ease. 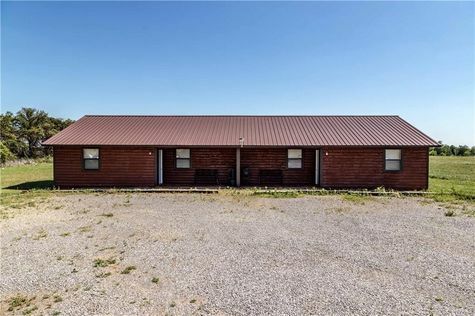 Has 1.67 acres of land in a very quiet location. Both Cabins are fully furnished. This would be a great time to own your own cabins or even start up, or continue a business dream come true. Just at the peak season time would be an ideal time to purchase the cabins and gain extra income. Another thought is, you could live in one cabin, and rent out the other cabin. This alone will make your payments on a loan. It would seem as if living there for free.